Lot 236. BAKTRIAN KINGDOM. Apollodotos I, 174 -165 BC. 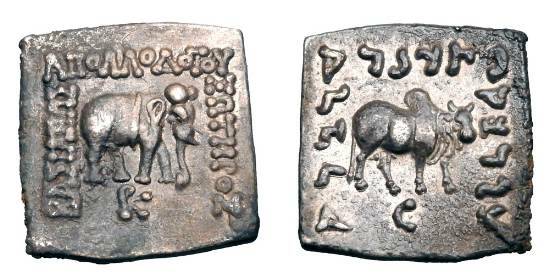 AR Square Drachm. ex PNC collection.